Oxford Cancer Biomarkers, Tuesday 6th November 2018. OCB is pleased to announce that it is an SME partner to University Hospital Coventry and Warwickshire NHS Trust’s successful bid for the PathLAKE project. 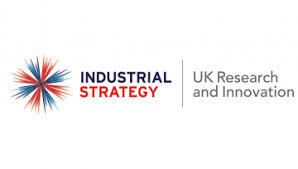 Greg Clark, UK Secretary of State for Business, Energy and Industrial Strategy (BEIS), will confirm today (Tuesday 6 November) that UK Research and Innovation will invest £10million in PathLAKE as part of the Industrial Strategy Challenge Fund. OCB’s role is to provide cutting-edge expertise through its existing ColoProg image analysis platform. Our tumour micro-environment analysis and DNA ploidy expertise, developed with Room4, having been validated in colo-rectal cancer (CRC) will be extended into prostate and breast cancers through access to the PathLAKE secure pathology data resources and associated expertise. Concurrently the PathLAKE resources will enable OCB and its partner Meridian IT, powered by IBM PowerAI Vision, to identify novel diagnostic biomarkers in the tumour microenvironment to improve early diagnosis and individual patient risk stratification. Oxford Cancer Biomarkers a personalised medicine company with a goal to enable early detection of cancer risk and to dramatically improve the precision of cancer treatment. OCB achieves this by applying platforms that incorporate biomarker-based technology from its R&D teams and partners, to integrate information, bringing enhanced certainty to decision-making in cancer diagnosis, prognosis and treatment. The first product to be launched is ToxNav, a 21 SNP germline assay that predicts individuals’ propensity to develop life-threatening adverse reactions from 5FU/capecitabine chemotherapy. ColoProg; a digital pathology test for the recurrence of Stage II tumours is already available in China. The company is working with academic partners to develop a population-based genome test for the lifetime risk of developing colorectal cancer. Oxford Cancer Biomarkers is closely affiliated with The University of Oxford, where its founders lead research groups focused on translational cancer science. UKRI is a new body which works in partnership with universities, research organisations, businesses, charities, and government to create the best possible environment for research and innovation to flourish. We aim to maximise the contribution of each of our component parts, working individually and collectively. We work with our many partners to benefit everyone through knowledge, talent and ideas. Operating across the whole of the UK with a combined budget of more than £6 billion, UK Research and Innovation brings together the seven Research Councils, Innovate UK and a new organisation, Research England.